Kissing School for Losers was Chris Kato's second directorial effort. The film was screened at the 2012 Laugh or Die Film Festival in Chicago, where it was nominated for Best Short, and won the Award of Merit at the Best Shorts Competition. It starred Robbie Moore and YouTube's "The Completionist", Jirard Khalil. 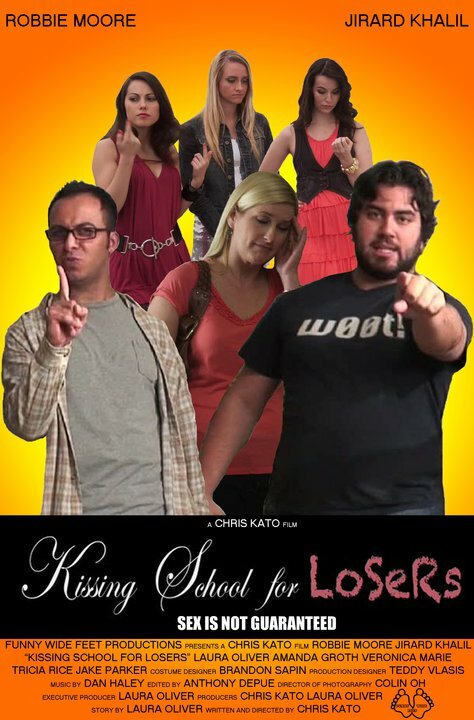 You can "Like" the film on Facebook here: https://www.facebook.com/pages/Kissing-School-For-Losers/174801269224857. Kissing School for Losers features Ray Jordan's single, "Me, Myself, and I", off his album, "It's About Time". For more on Ray Jordan, visit his website HERE.